Aretha Franklin Tribute – R.I.P. 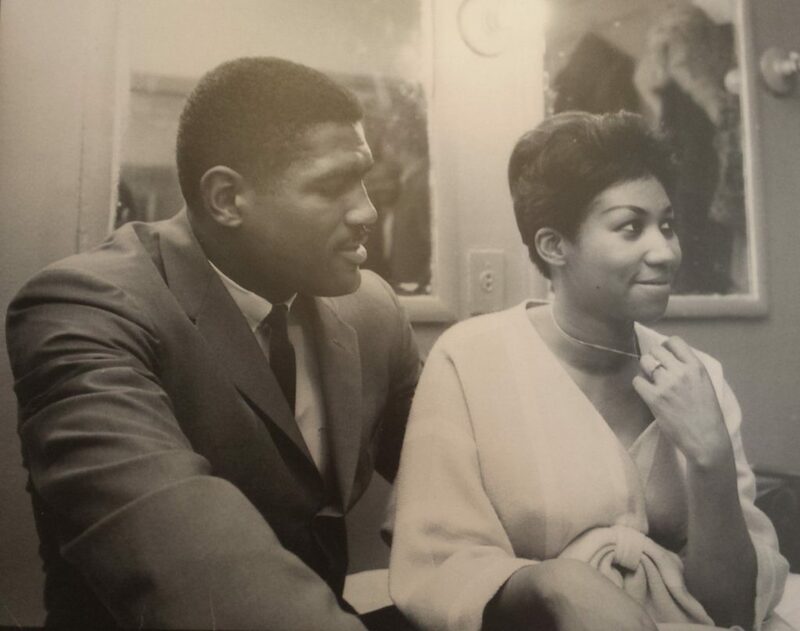 I am truly sadden with the recent passing of Aretha Franklin. She was truly an icon in the world of music, honorably labelled as the” Queen of Soul”, and such a beautiful lady. The month of April has a special meaning for me both in a happy and sad way. Ap ril 4th is my friend Ernie Terrell’s birthday. The former WBA heavyweight champion has to be one of my favorite boxer friends ever. 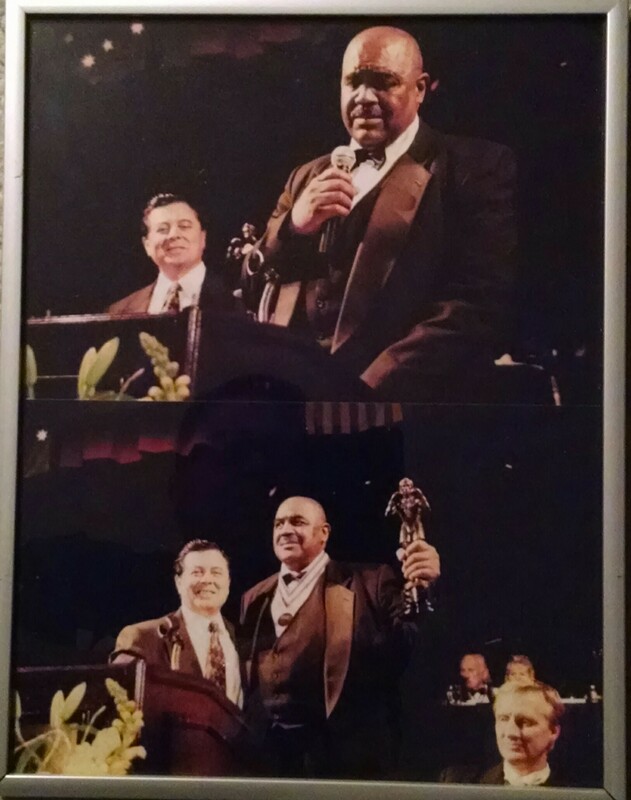 I was honored, on the evening of October 16, 2003 when Ernie was inducted into the World Boxing Hall of Fame, to be his presenter. I remember that night as if it was yesterday and I will always treasure that moment in time. 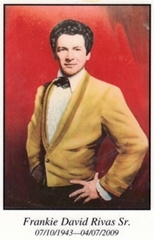 At the very top left hand side of the banner for this website, you will see the photo taken on his special night. April 7th is the anniversary of the passing of my best friend Frankie Rivas. In 2009 I tearfully, but honorably, delivered the eulogy at St. Raphael’s church for his funeral service. 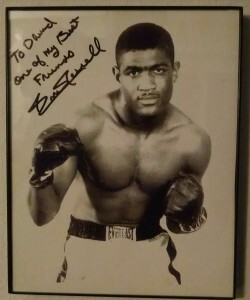 As well as boxing as an amateur himself, Frankie was the truest boxing fan I have ever known. He was always there with me as a referee or judge at many boxing shows in our community, and gave his support to the kids in local boxing gyms. I have known Frankie since my childhood days and in memory of his death (I say), “May his soul rest in peace with the Lord in heaven”. I have rated many fighters in many different divisions, eras, and ethnic groups. One of my first ranking features that I posted on this Web site (see Archives / August 2007 or Rankings on menu to view) was my view of the top ten heavyweights of all time (i.e.) “Rating the Heavies”, in which I have gotten some criticism for not including Mike Tyson in my elite group. First let me say that it is always a pleasure to write what I have seen in my 48 years of following boxing as a sport I deeply love. I have seen every heavyweight champion fight, either by living during his era, by film or by speaking with individuals who actually saw these champions fight, even at the turn of the 20th century. I respect everyone’s opinions and, of course, have mine to tell after having studied this very subject, giving a great degree of research on my part. As I get older, the majority of people who have disputed that Tyson could have beaten Ali or Holmes if they fought in their primes are mostly people whom, if I asked, “Who was Cassius Clay?”, would not know the answer any more than they would know that George Reeves was the first Superman. This simply tells me that they never knew the fighter that beat a more feared man than Tyson ever was, that being Sonny Liston, and who also survived the biggest knock down in his career in the 1963 Henry Cooper fight, and all when he was Cassius Clay. On December 16, 2014 my friend, former WBA heavyweight champion Ernie Terrell, passed away at the age of seventy-five. I met Ernie while serving my tenure (1997-2007) with the World Boxing Hall of Fame. 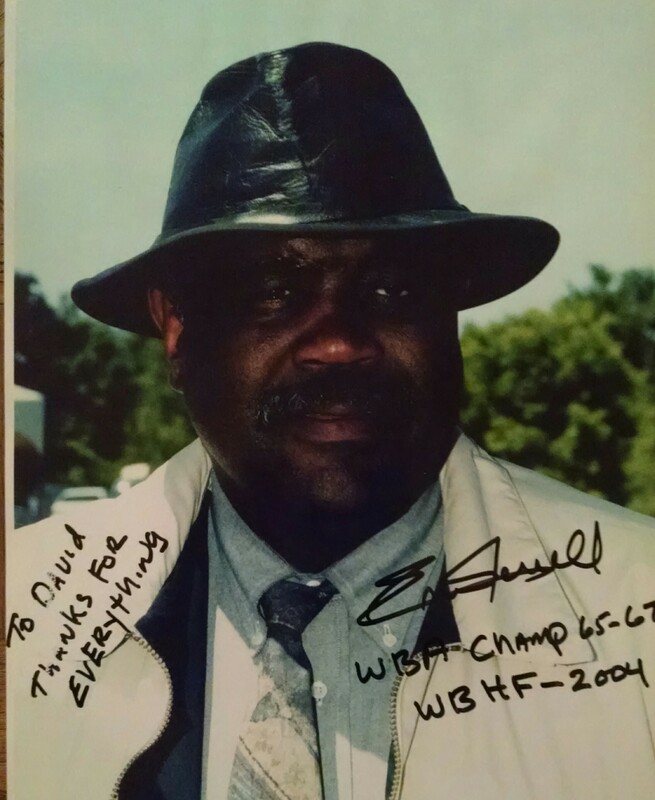 I was honored in October 2003, when Ernie was inducted into the World Boxing Hall of Fame, to be his presenter and to speak on his behalf on his outstanding ring career. 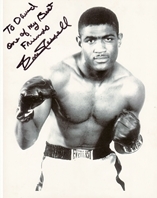 Ernie was a gentleman of the highest level and he will be missed by his loved ones and the boxing family. May his soul rest peacefully in heaven with God. One of my first articles during the beginning stages of this website was on Ernie. 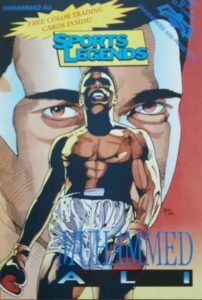 I am delighted to bring back this article that was published on dmboxing.com August 2, 2007 for viewing now. April 4th is my friend Ernie Terrell’s birthday. The former WBA heavyweight champion has to be one of my favorite boxer friends ever. I was honored, on the evening of October 16, 2003 when Ernie was inducted into the World Boxing Hall of Fame, to be his presenter. I remember that night as if it was yesterday and I will always treasure that moment in time. At the very top left hand side of the banner for this website, you will see the photo taken on his special night. 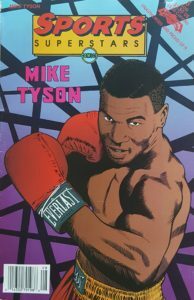 Why Mike Tyson is NOT in My Top Ten! 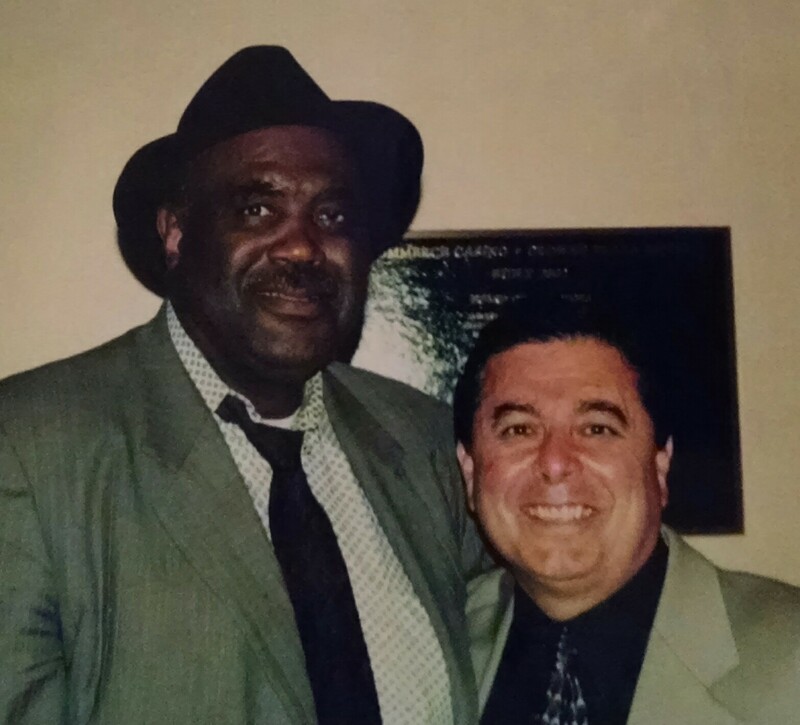 On October 16, 2004, Ernie Terrell was inducted into the World Boxing Hall of Fame, and I was so honored to be chosen as his presenter. 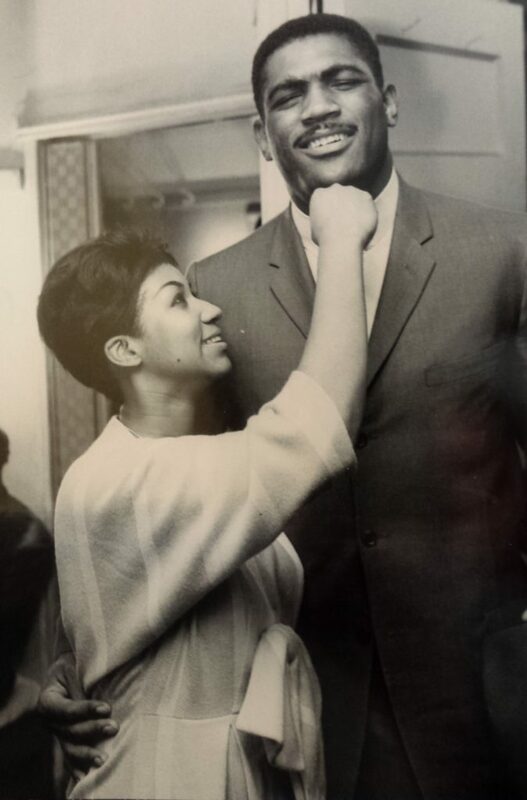 In my 47 years of following boxing, I have been gifted to have met so many wonderful people – but Ernie just has to be that one on the top, as he is such a humble man that I respect, not only as a fighter, but as a human being. Here’s my capsule look at Ernie Terrell, born April 4, 1939 in Inverness, Mississippi.